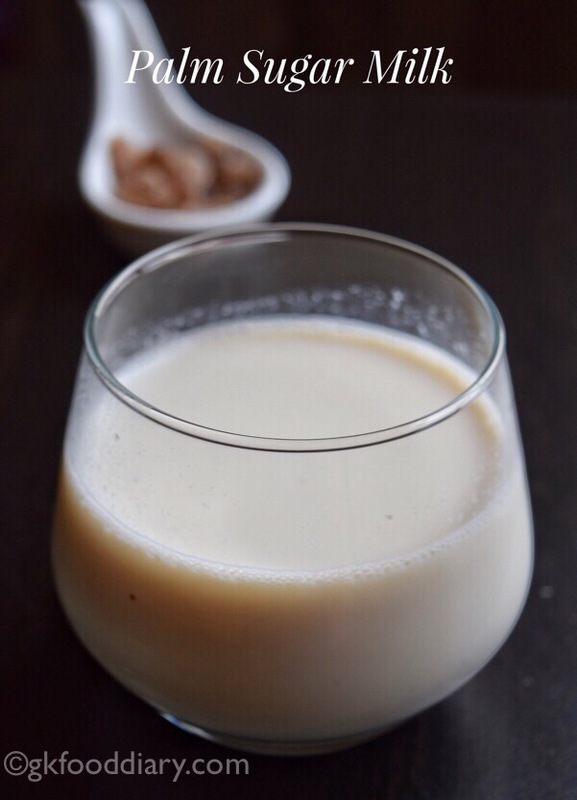 Palm Sugar Candy Milk/Panakarkandu paal is a healthy beverage prepared with palm sugar candy/ Panakarkandu and milk. Palm sugar candy/ palm rock candy/ palm sugar contains minerals, vitamins, calcium, and iron. It can be used as a healthy substitute for refined white sugar. 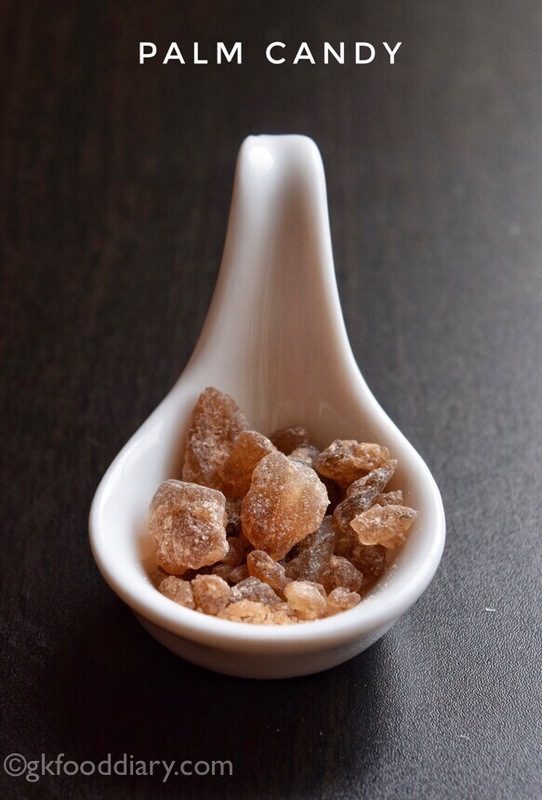 Palm sugar candy is also very effective in treating cold and cough in children especially a sore throat and dry cough. 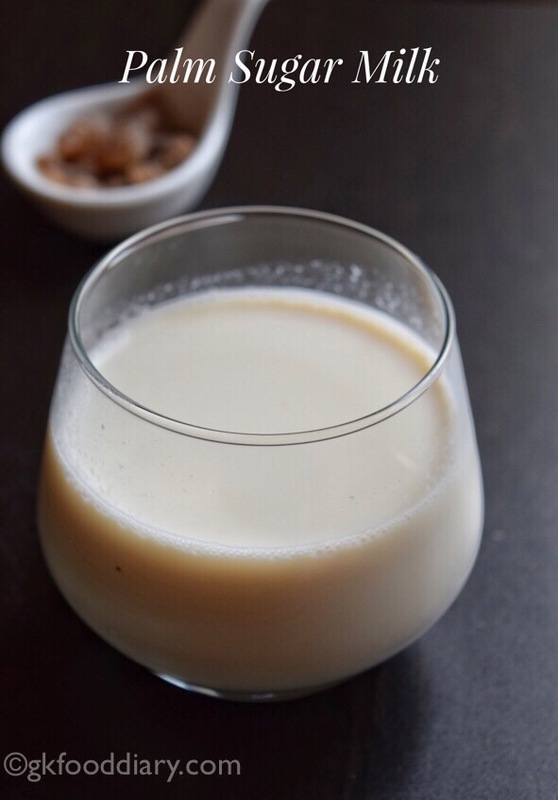 You can start giving this palm sugar milk to your toddler from one year. 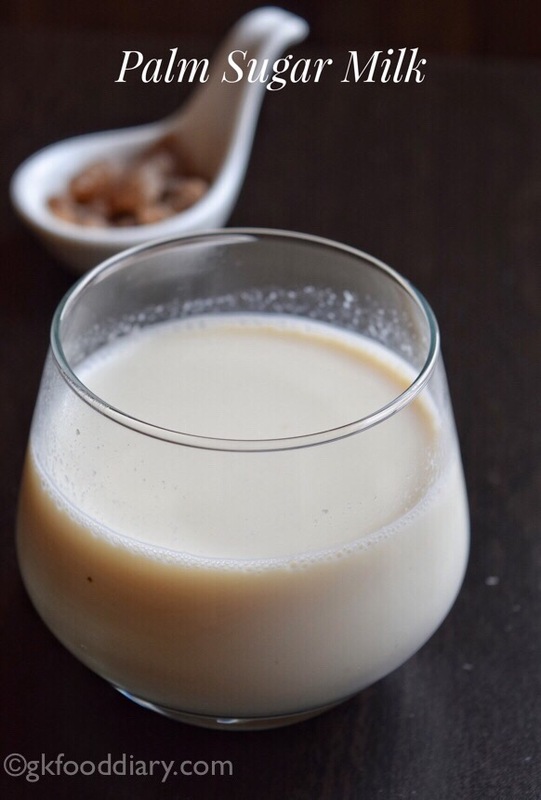 Apart from the medicinal values, this palm sugar candy milk tastes so good that you can even give it every day! Also, Try out other milk flavors for toddlers and kids. Now let’s get on to check palm sugar milk recipe for toddlers and kids. 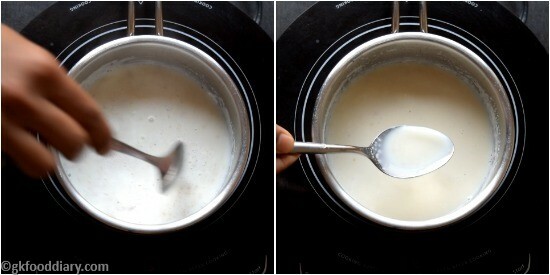 Boil 1.5 cups of milk in a saucepan until frothy. Lower the flame. Add 1.5 tbsp of palm candy and ⅛ tsp of cardamom powder. 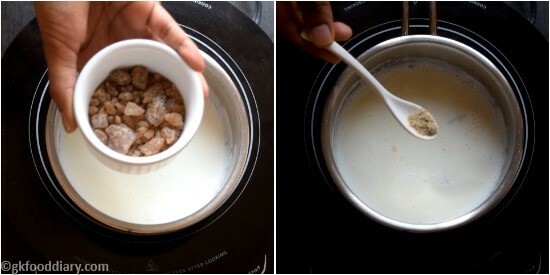 Mix well and boil the milk in low flame for 5 minutes. Strain the milk and serve! 1. 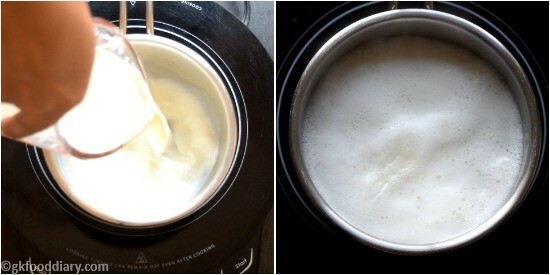 Boil 1.5 cups of milk in a saucepan until frothy. 2. Lower the flame. Add 1.5 tbsp of palm candy and 1/8 tsp of cardamom powder. 3. 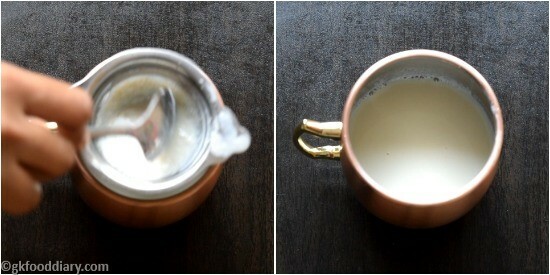 Mix well and boil the milk in low flame for 5 minutes. 4. 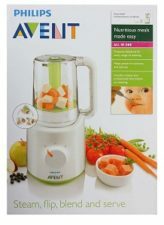 Strain the milk and serve! Tasty palm sugar candy milk is ready! You can add 1/4 tsp of pepper powder and 1/8 tsp of turmeric powder along with cardamom powder. Adjust palm sugar candy quantity according to the sweetness you desired.